A WEDDING INVITATION is book four in this series, preceded by Rain Song, How Sweet It Is, and Hattaras Girl, however, each book stands alone. I love contemporary romance, and am fond of first person, present tense, so that didn’t bother me. However, Sam seemed a bit one dimensional, and I didn’t like relationship between Sam and Carson at all. The romance wasn’t really anything to speak of. I liked that Ms. Wisler was really a teacher of English in foreign countries, and that she knew what she was talking about in those parts. 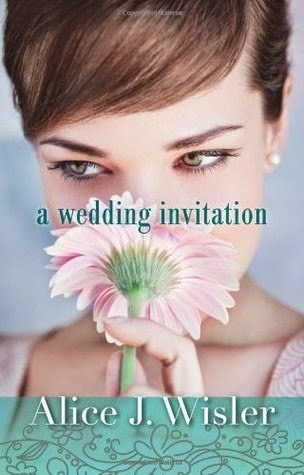 If you are interested in teaching English overseas, or like first person/present tense romance, you might like A WEDDING INVITATION. It is an older book, but still available. 3 stars. Available in ebook and paperback. 323 pages. I received this book from www.paperbackswap.com and was not required to write a review. 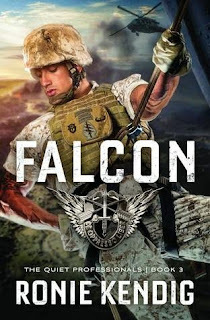 Join Frederick Cottonmouth as he steps out of our world and into another in order to complete his mission. In this dramatic conclusion to young Freddie's story, he will face great challenges and conflicts. How will Freddie react when he comes face-to-face with true darkness? Parents and their children will savor this creative story that has the artistic sense of Where the Wild Things Are, the heart of Narnia, and the redemptive themes of sacrifice and friendship. 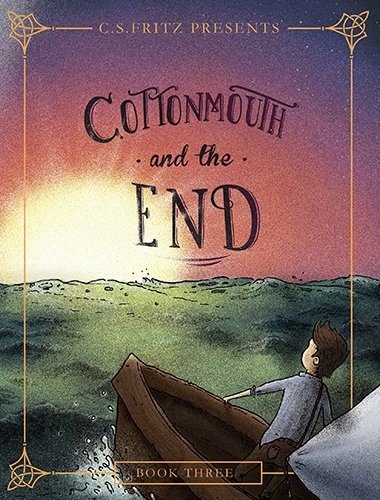 My thoughts: COTTONMOUTH AND THE END is book 3 in this collection. I didn't read the first two books Cottonmouth and the River and Cottonmouth and the Great Gift, but this story stood alone. I thought, initially, this book was rather scary, it was white print on black pages, and really, it was kind of spooky. But then it lightened up and I realized the man message of this book -- and that really it is the all too real situation of the power of darkness versus the power of light. I love the message in this book. Really really good. I recommend this to those who love spiritual warfare stories. The Christian message is clear to those who understand it but veiled enough that it could be placed in more secular places (public schools/libraries). The artwork is nothing short of amazing. Highly recommended. Casey “C. S.” Fritz is both master artist and writer, creating story with words and illustrations. In 2011, he was nominated as Arizona Visual Artist of the Year. He is now director of Kids & Youth Ministry for Reality LA. He lives in Hollywood with his wife and two young children. 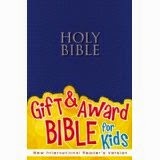 These comics are geared toward ages 4-8, and it is the first Christian comic ever to be specifically for this age group. These comics will contain one Bible story, one action story, and one LarryBoy story. We look forward to hearing about how God uses the comics to help kids learn more about God's Word through these hilarious, engaging stories! To get a good feel for what to expect, click to play the video below. 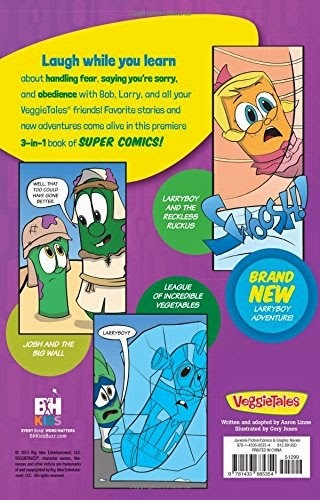 VeggieTales™ SuperComics brings you a popular new format with all the zany fun you've come to expect from VeggieTales. 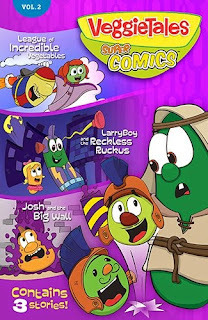 Each SuperComic includes three VeggieTales stories, hundreds of full-color illustrations, and fun bonus features. Stories in Volume 1 include Dave and the Giant Pickle, Lyle the Kindly Viking, and the all-new LarryBoy and the Prideosaurus. Lessons include sharing, self-esteem, and humility. My thoughts: These comics are great. My children knew two of the stories, due to having them on DVD, but the third one was new to them. The enjoyed reading all three of the stories and seeing the pictures. Jokes are included after every story and discussion questions are included at the end of the book so parents can discuss the lessons, applications, and stories with their children. 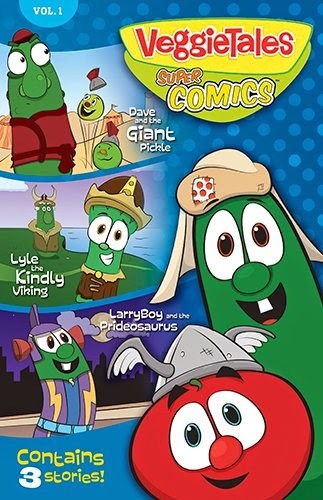 Highly recommended to fans of VeggieTales and comics! A huge hit with my crew. VeggieTales SuperComics brings all the zaniest and fun you've come to expect in a popular new format. Each SuperComic includes three VeggieTales stories, features hundreds of full-color illustrations and fun bonus features. Stories in Volume 2 include Josh and the Big Wall, The League of Incredible Vegetables, and an all new Larry Boy and the Reckless Ruckus. Lessons include Obedience, Handling Fear and Saying Your Sorry. My thoughts; My daughters actually loved these comic books. They are familiar with two of the stories in this collection prior, due to having them on DVD, but the third one was new to them and they enjoyed reading all three. There are jokes included after every story. There are also discussion questions at the end of the book for parents to discuss the moral with their children and what they learned from the story. Sure to appeal to boys and girls alike! Highly recommended by my crew. Now . . . it’s personal. As if it weren’t before. The operators in Team Raptor have had their head cut off. But they are not dead, neither are they any less deadly. When you set out to yank the tail of the tiger – you’d better have a plan for dealing with his teeth. Newly-minted Warrant Officer 1st Class Salvatore “FALCON” Russo is totally ready to sink his teeth into the Osiris hacker. But that means putting the team in the hands of Cassandra Walker. In his eyes, the cliché “Anything is better than nothing” fails the test when it comes to Cassie. The last time he trusted her, two of the most important people in his life died. Never again. Cassandra Walker knows exactly three things: she has never loved any man besides Salvatore Russo, he hates her more than life itself, and her mission may destroy any chance of reconciliation. In the third installment of The Quiet Professionals, “FALCON” must reassemble the team and send them into danger – yet again. Yet he can’t escape the frustration of having his hands tied, the Raptor team unable to do what they do best: operate. With swift, unerring precision. Ridding the world of a cancer that should never have existed in the first place. Riding the razor’s edge has never been more crucial than now . . . nor has it ever been more painful. What will “FALCON” find waiting for him at the end of the ride? Is that light at the end of the tunnel? Or is it another freight train? Ronie Kendig will keep you guessing to the very last page. Odyssey Adventure Club -- only $1.00! Memorial Day is just around the corner, which means school will be out for the summer! Parents, does that fill you with dread, knowing all you'll hear for the next few months is, "I'm bored!"? Keep reading because we have a deal for you-one that will only cost you a buck and that will keep your kids safe online while allowing them to have fun and to grow in their relationship with Jesus. Buck Oliver is back in the latest Adventures in Odyssey album, and to celebrate, you can try the Odyssey Adventure Club for just a buck for your first month. Sign up beforeMay 31st using the promo code BUCK! *This deal only applies to first-time accounts and is good the first month only. -24/7 streaming access to more than 750 Adventures in Odyssey episodes (a $1500 retail value). -A new, members-only Adventures in Odyssey episode every month. -A subscription to Adventures in Odyssey Clubhouse Magazine. -A web quest of video stories and online activities reflecting the biblical theme of that month's episode. -On-the-go access with the OAClub mobile iOS app. -Growing access to Odyssey books, a daily devotion, access to select Radio Theatre dramas and more. To learn more about the Odyssey Adventure Club, visit www.oaclub.org, Facebook,Twitter and Pinterest. 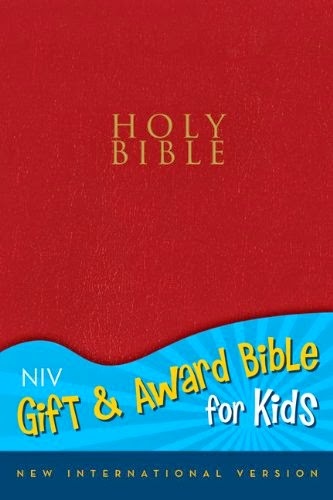 Economically priced, the NIV Gift and Award Bible is the perfect gift for any occasion in a child's life. For the price, this isn’t a bad Bible. The print is not as tiny as some reviewers stated, but the format or font does make it kind of hard to read in spots. I don’t like the paper cover so well, it would be easy to bend or tear. 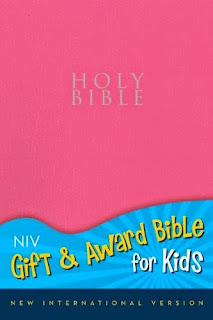 There are no pictures which most children like in Bibles, but if someone doesn’t have a Bible or is getting a new cheap one then it would be a good gift. Available in blue, pink, or brown for both boys and girls. 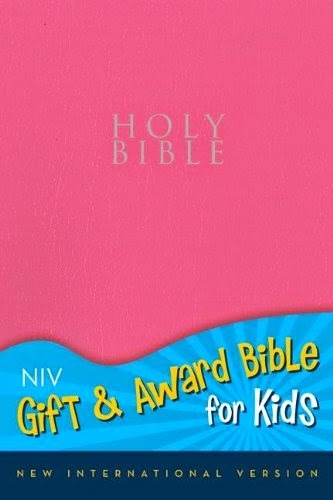 If I were looking for a new Bible for my daughters, I would look further. If I were giving a Bible to a Bible-less bus child, I would consider this. It would also be good for churches to keep in stock for Bible-less visitors. 3 stars. Available in paperback. 736 pages. 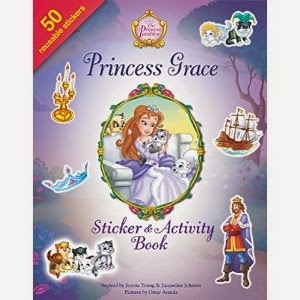 Sticker books girls will love! 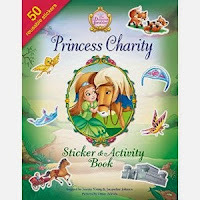 The Princess Parables come to life through age-appropriate puzzles, activity pages, and 50 colorful and reusable stickers in the friendly and fun Princess Charity’s/ Joy’s/Grace’s Sticker and Activity Book featuring Charity/Joy/Grace, her four princess sisters, and their friends. Join Charity/Joy/Grace and her sisters in some creative and interactive fun with 16 pages of stickers and activities that are sure to please, featuring her father the king and her special animal friend. 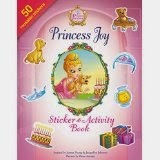 My sisters and I enjoy working on these Princess Parable activity books. It was pretty exciting when three of them came in the mail today since I have two sisters and we could each have a different one. My only complaint about these is that they aren’t long enough and it’s hard to know what to do with the stickers. I ended up decorating some of my other school books. My little sister stuck them on a blank piece of paper. 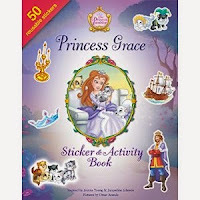 In addition to stickers, there is a word search, counting, a code, coloring pictures, find the differences, maze, and dot-to-dot puzzles included. We all enjoy these books and they are good for road trips, for keeping us quiet and busy while waiting for appointments, and more. Mom keeps ours in an activity box at church to keep us busy while we wait. 4 stars. Available in paperback. 16 pages. IN FIREFLY VALLEY is book 2 in Ms. Cabot’s Texas Crossroads Series, and though these books do stand alone, readers will want to read the previous books. The first book is At Bluebonnet Lake. There are three different stories going on in this book: Marissa and Blake, Marissa’s parents, and Laurel and Drew. Still, readers won’t have any problem keeping people straight. I read IN FIREFLY VALLEY through to the end, though parts of it were skim worthy. I love contemporary romance, so am glad that it is popular right now. The faith message in this book is weak, not preachy at all, so non-Christians who read it shouldn’t be offended unless phrases like “You should pray” bothers them. The characters actually do pray once. They don’t attend church. However, there is growth, both with Marissa’s anger issues and Blake’s secretive ways. 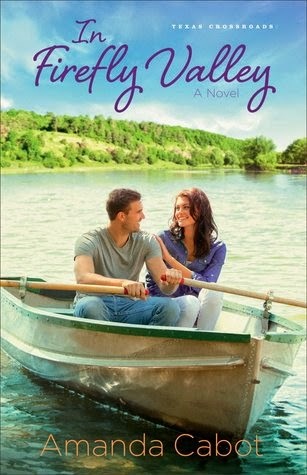 This wasn’t my favorite book by Ms. Cabot, but all in all, IN FIREFLY VALLEY was a good read, one I enjoyed and I would recommend it to fans of contemporary romance. 4 stars. Available in ebook, hardcover, and paperback. 368 pages. Somewhere, My Love: An inspirational romance novella collection about taking a leap of faith for love. . .
We’d all like to believe that there is someone out there, waiting for us. The perfect one, who is exactly the right fit. But sometimes the wait – and the fear of launching out to find that special someone -- keep us from leaping out in faith. From saying hello, accepting that cup of coffee, saying yes to a romantic walk on the beach. When they said "Missionary," Interior Decorator Ellen White expected, well, not the hot, tall, and sweet Paul Stoneman, fresh from the backwoods of some Russian village. And sure, she'll help him redecorate his cute missionary home. After all, clearly the confirmed, rough-around-the edges bachelor needs a woman's touch. But when she falls for him, she discovers that loving a man with a heart for God requires more from her than she's willing to give. Paul Stoneman longs for a wife to share his life wife. Sure, he loves his life as a missionary, but admittedly, he's lonely. Beautiful Ellen White is exactly what he's prayed for - right down to her ability to turn his life into something beautiful. But Ellen isn't interesting in leaving the comforts of America for the rustic life of a missionary, right? My thoughts: Ellen is bubbly and instantly wins over Paul's heart. Whereas Ellen is torn, wanting to throw over her dream career for a mission field... is God actually calling her or is it because of Paul? I'm used to reading Susan's more developed stories, with characters that you fall in love with despite their issues. I wasn't there with Paul and Ellen but I wanted to. Maybe I went in with too high of expectations, since this was one of Ms. Warren's first published books and she hadn't honed her skill to the level it is now. Regardless, I enjoyed getting reacquainted with Paul and Ellen. All he wanted to do was build a deck. . . and she turned his life upside down. One just has to be amazed at how God works . . . I may have wanted this story to be longer and more developed, but it was still good. A quick read. 4 stars. The last person Calli Deane expects to find trapped in an elevator in Siberia at 2.a.m is Peter Samuelson—the man who broke her heart. Besides, she has a life she loves now - as a missionary in Russia. But Peter is not the man she remembers, and suddenly, she has to take another look, remeasure the man she once knew. But can love be reignited, or will the fears – and mistakes – of the past drive them apart again? My thoughts. This story was also previously published -- Ms. Warren's very first published book. I remember her excitement when her real-life story of being stuck in a Russian elevator turned into a published novel. I was excited for her! It was good getting reacquainted with Peter and Calli, and as I said with the first novella in this collection, these books in no way mirror the talent Ms. Warren currently is. It made me initially fall in love with her books, and it might bring a whole new flock of fans to Ms. Warren's doorsteps, but as with most author's, their writing ability improve with each book they write. It was interesting finding Peter out of his element in Russia and floundering around. Getting robbed... poisoned... tricked. Callie was the true hero, coming to his rescue, time and again, and pointing him to God. But--will Peter give up his legacy and surrender to missions work? Or will he call Callie out of the wilderness? 4 stars. Investigative Reporter Justine Proof knows she doesn't belong in the small, backwater town in East Tennessee...not only is she a Yankee, and hasn't the foggiest idea what grits are, but she's pretty sure someone is out to get her. And yes, it might be because she's investigating a murder, but someone is making it personal. Certainly it can't be cute, but redneck, coffee shop owner "Wild" Pat Bells, right? Still, every time she has car trouble, Pat "seems" to show up, raspberry latte in hand. Is he a rogue meaning her harm - or a friend trying to help? Patrick Bells can’t believe he heard a woman plan a murder into her tape recorder. 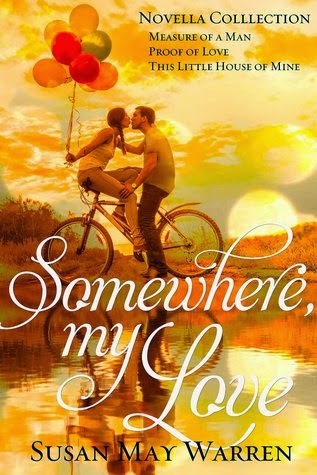 And not just any woman – cute and sassy Justine Proof, a woman he’s been scraping up the courage to meet since the first day she ordered a raspberry latte in his coffee shop, the Right Cup. But Pat isn't going to let anyone get hurt in his town. . .
Justine has finally found someone she’d like to trust -- someone who has suddenly become more than just an early morning ray of sunshine in her life. But her suspicious mind stands between her and true love. She’s about to learn that trust is a choice, and that only God can help her make it. My thoughts: Again, Proof of Your Love was previously published, this one with a collection with Barbour. I remember reading it when it first came out. I enjoyed getting reacquainted with Justine and Patrick, and remembering the story behind this story. It was funny how Patrick heard Justine plotting a murder in her recorder, and worried that she might be trying to kill someone for real. But things are not as peaceful in this Tennessee town as one would think. There are long buried feuds, murders unsolved, and someone out to kill Justine. Why? And who? You'll have to read the book to find out. This was Ms. Warren's deput suspense/thriller which led to her her series with Love Inspired about Russia and another one set in Tennessee and Missouri. 4.5 stars. Overall, 4.166667 stars A great collection of Ms. Warren's beginning novellas now out of print. Fans who haven't read her early works will want this, in addition to contemporary romance readers who haven't discovered her yet. Q & A with Katie Ganshert / Giveaway!!! !